The Brigidine Congregation is an active and proud member of UNANIMA International (UI). This is a non-governmental organization (NGO) advocating on behalf of women and children (particularly those living in poverty), immigrants and refugees, and the environment. There are currently 21 congregations of Catholic women religious who are members of UI and whose 22,000 constituents live in over 80 countries. In solidarity we bring our voices, concerns, experience and prayer to the work of the United Nations. 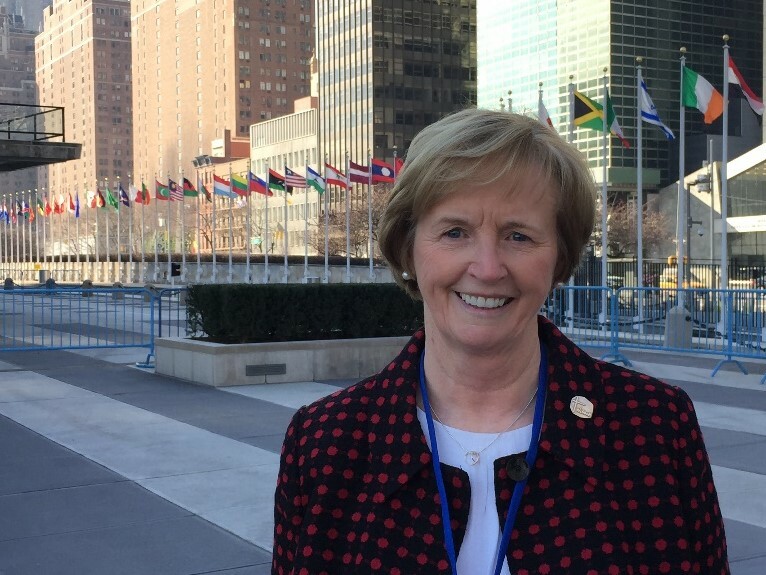 Margaret Fyfe csb currently represents the Brigidine Sisters on the UNANIMA International Board which meets twice a year and usually in New York. We thank Marg for her commitment to this ministry and for keeping all Brigidines informed about the work of UI. Jean Quinn, Daughter of Wisdom, is the current Director of UNANIMA International and has issued the following Christmas greeting and reflection.